KHQA-TV reporter Reyna Harvey probably got the shock of her life when she interviewed a man who revealed he was just shot just moments prior to her arrival. “I just spoke to the victim who was shot. He’s actually walking up right now as we speak,” she says in the video, while the victim, identified as “DeVon,” casually approaches the camera while smoking a cigarette, smiling. His injury was just a “little petty wound—I ain’t even trippin’ though,” he says before taking a drag of his cigarette. Harvey then asks him to reveal his wound. DeVon obliges and lifts up his hoodie, showing a bloody bandage. According to Fox2Now.com, the shooting happened in Quincy, Illinois, in the early morning hours. 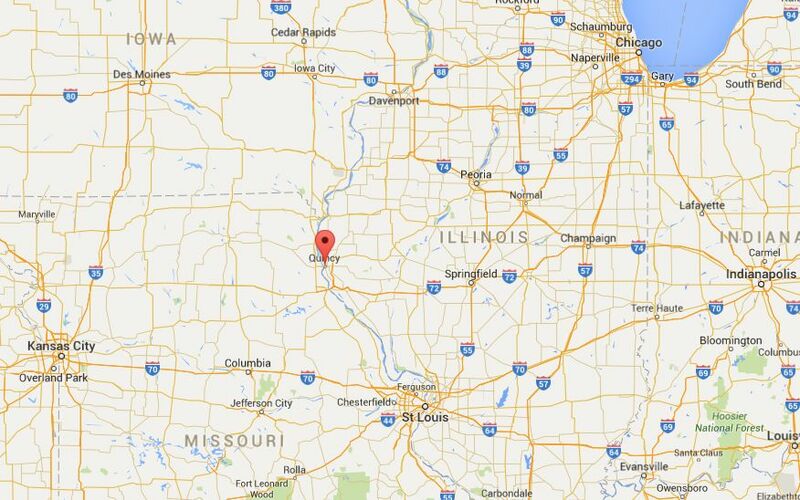 Quincy is located on the Mississippi River near the Illinois-Missouri border.